been in the lobbies for the past several weeks? 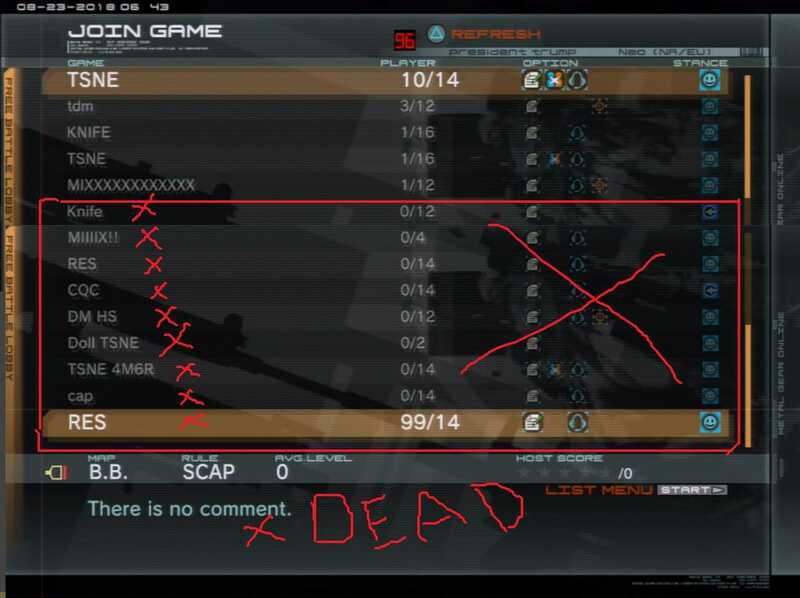 MGO2R 1.00 saw the game list refreshed more. At any given time there is literally more dead rooms than there are real rooms. People can't even host new rooms because they get hidden among a dozen fake rooms that look exactly the same. No wonder this game is so dead, there's less quality of life maintenance than No Man's Sky.